Registration will begin 30 minutes before event start. Roger is co-founder and CTO of Impact, where he is tasked with architecting and enhancing the world’s most scalable and complete marketing technology suite. As CTO, he leads our engineering and product departments. Roger is also a previous co-founder and technology leader of several internet technology companies, including Savings.com and Leadpoint. Connecting outstanding people with the world’s most innovative companies. In 2019, workplace inequality still exists. It has very real consequences for people all over the world -- consequences that often go unseen, unheard and invalidated. #NothingLess provides a platform for women to tell their stories, unite over shared experiences of inequity, and demand nothing less than what they’re worth. This April, in celebration of Equal Pay Day on April 2, Hired is hosting events across the country throughout the month to elevate the discussion. 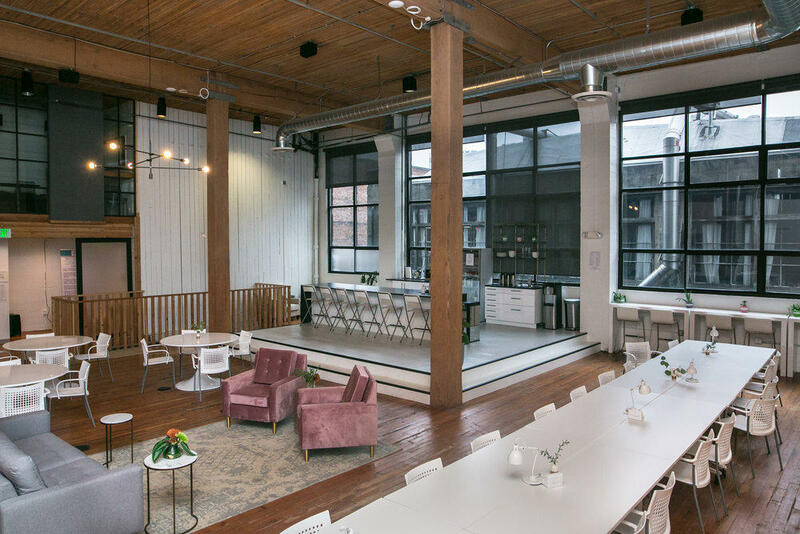 On Tuesday, April 16th we're partnering with Ladies Get Paid to host a discussion for the Seattle community on negotiation, DE&I and recruiting. women, their rights and nothing less. We believe science and technology have the potential to transform business, both for our clients and ourselves. Our mission is to deliver disruptive innovations in marketing technology to help our clients successfully navigate the ever-changing, digital landscape and grow their business. Jodi's professional mission is to create positive impact for diverse marginalized groups through sustainable organizational development, program management and capacity building. In her career, she's created DEI programs using strong content expertise, strategy development tools and influential leadership capabilities. Her expertise as a behavior specialist and educator key for DEI organizational change. Susi is a Diversity, Equity, and Inclusion practitioner that specializes in ERG program management, allyship strategic partnerships, and implementing strategies for organization development in culture and DEI. She has extensive experience in project management, design and execution of meetings and trainings, global community outreach, and employee engagement from a DEI intersectional lens. Myrna is a self-driven recruiting and talent acquisition leader, global traveler and citizen of the world. Her curiosity, intuition and easy engagement with others helps her to naturally build connections and strong relationships both within and outside of her career. She is known for championing talent at all levels and is dedicated to helping companies recruit and retain stellar talent from across the globe. She attended the University of Puget Sound and the University of Paris. Juliette is Organizational Development and Diversity and Inclusion leader, with a personal mission to be a conscientious change agent and disruptor in increasing representation and belonging in the workplace. Throughout her career, she's worked with organizations to help create spaces that normalizes and celebrates differences. Where best practices are shared and strategies to engage in tough conversations about culture, diversity, inclusion, and systemic disparities are explored. Juliette has worked directly with senior leaders in developing their capabilities and articulating a shared mission for D&I efforts. Establishing and managing ERG's, developing mentoring programs, and designing learning opportunities are just a few of the areas of focus for Juliette in driving towards change in the workplace. Sage Ke’alohilani Quiamno is a passionate women’s rights and pay equity advocate, diversity champion and community builder. She is the co-founder of Future for Us, a grassroots initiative dedicated to accelerating the advancement of women of color through community, culture & career development. Her drive and enthusiasm to fight for pay equity, especially for women of color, has launched her to the forefront of the the women’s rights movement and she continues to advocate for the advancement for women in the workplace. Come check out the space over drinks and learn more about Hired's #NothingLess campaign and partnership with Ladies Get Paid in honor of Equal Pay Day 2019. Get settled in as we screen Hired's micro-documentary on equal pay and key findings from Hired's 2019 Wage Inequality in the Workplace report. Ladies Get Paid will moderate a panel discussion on wage parity, DE&I and negotiation.